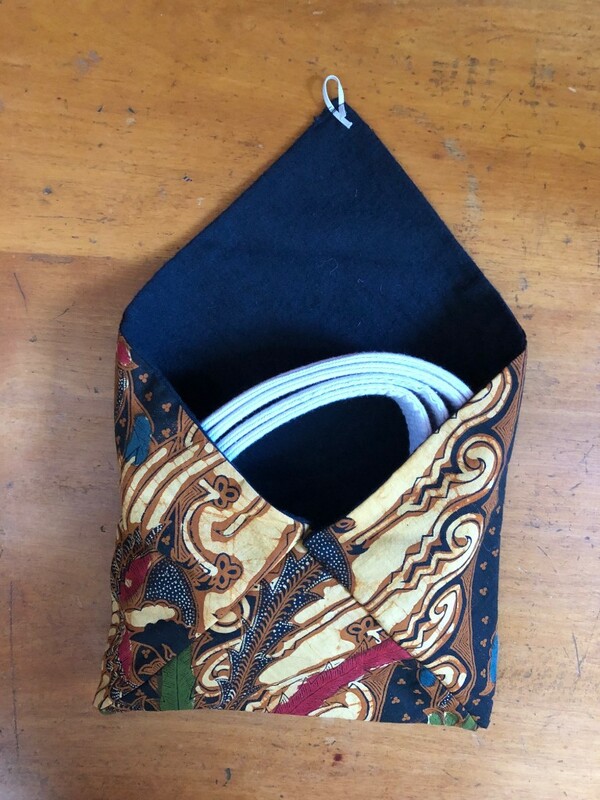 Sash and Belt Bags by Mas Miriam and Mas Julia! These beautiful bags are handmade by these wonderful sisters and are on sale in the store! 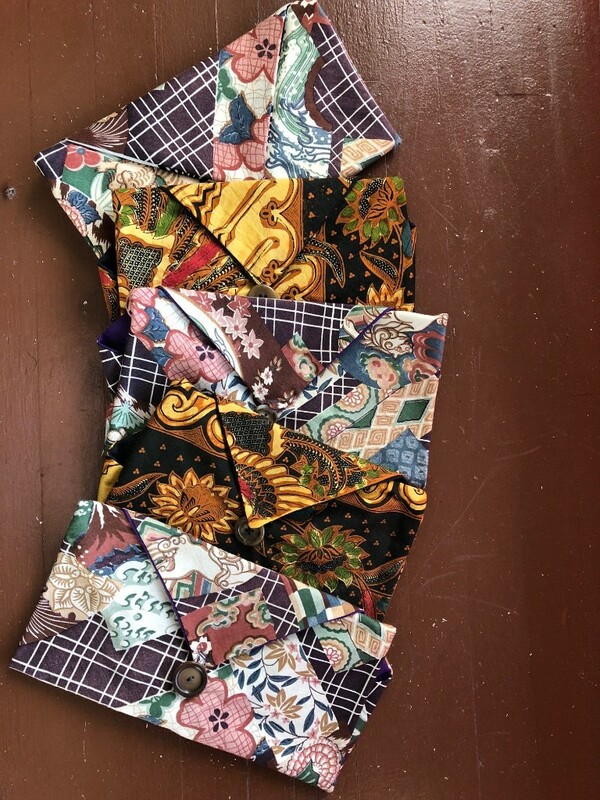 Support their creativity, or get inspired to make your own bag to keep your sash or belt safe and clean. Having a nice bag will make it less likely that you will misplace or lose it. You work so HARD for these important representations of your training – treat them well! Here’s the IMPORTANT thought for the month: Fall down 7, get up 8! I hear so often that kids are afraid to fail. At Studio Naga about 80% of what we do here we fail at, at least for the first 10-1000 times we try it! Please try to fail at at least 3 things this month—and brag about your failures! If you aren’t failing—or at least being challenged—you aren’t setting the bar high enough. Parents, show your kids that you, too, aren’t born “knowing what to do” at all times. This picture is of our fabulous annual Tilden Camp, but if you want to hear a good story about trying, falling and getting back up, talk to Mas Goeroe Judy or Bantoes Cid and Dee, or myself about our crazy FIRST Camp Courage. Was it perfect? Oh, NO! Did we learn anything? Yes! Did we have fun anyway? Absolutely! Everything worth doing is—at first—worth doing badly. Monday Night! Remember 6:30-7:30 class is open to all levels, kids 8 and up, and adults. This class has very few participants so you’ll get lots of attention! April 20-22nd Spring Empowerment Weekend for girls 8-18 is nearly full! We have a diverse group and some on a waiting list for scholarships. If you can sponsor a girl, email us. Some local realtors are sponsoring a few! Call with any questions! Summer Camp Early Registration by April! Tilden Camp is June 25th-29th! Overnight or day camp—two options! (Or a mix of both!) Also Studio Camp July 9-13th—a great time to get LOTS of training! Save and sign up now! Community lunch was superfun. The next one is March 24th, we’ll have a brown bag or potluck after class at nearby Hollis Park (61st & Hollis). Get to know your community! And make Naga yours! if you see something that needs attention – stocking bathrooms, straightening shelves, folding gis. Jump in!